Core-shell star block copolymers with hydrophobic polystyrene (PS) cores and hydrophilic polymethaacrylate arms (shell section) attached to the PS core. Images courtesy of Molecular Vista. 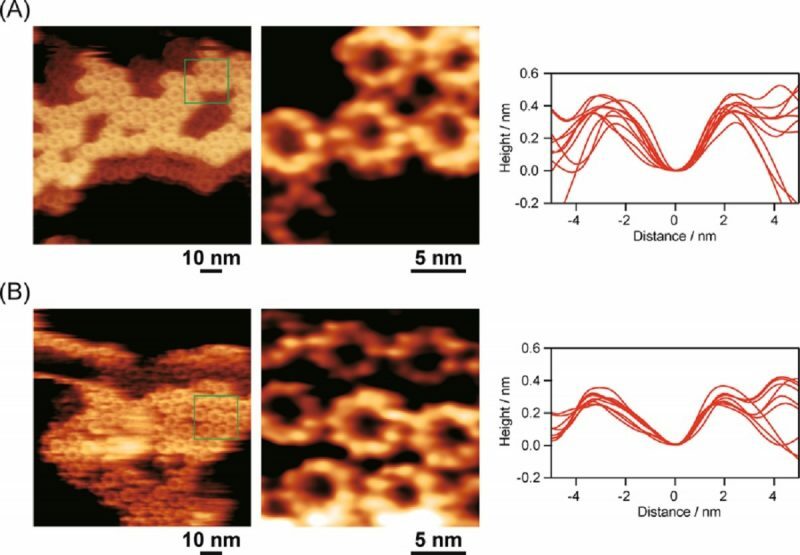 A NANOSENSORS PPP-NCHAu AFM tip was used for this application. These images are not part of the above mentioned article but a further illustration of the possiblities.